Bite-sized security tips: look after your bikes! We at the Viro Security Club often encounter curious situations regarding the way users use security products, as shown by the photos we receive from our readers. 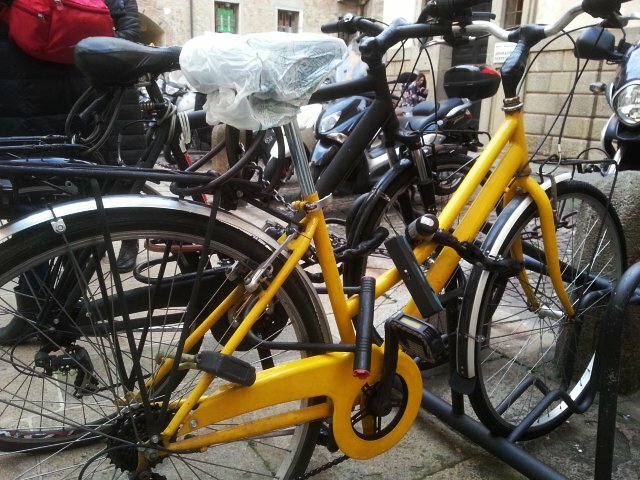 We were recently sent this photo from Padova (Italy), where it seems that the precautions taken by urban cyclists can never be too many. Is there nothing “strange” in this photo? There are actually 4 locks keeping the bike secured to the cycle rack. 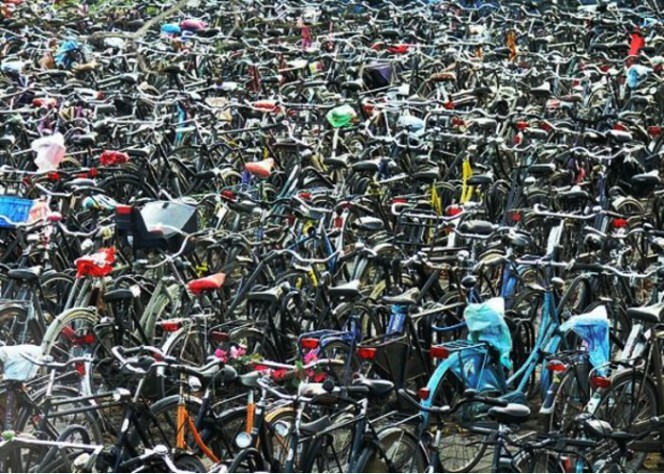 Bicycle theft is a serious problem and extremely widespread in many towns and cities. Navigating around the Internet you will in fact find newspaper articles entirely devoted to the subject, websites for reporting thefts and sightings and also initiatives precisely like the one set up by Padua council which offers students the opportunity to have their tax code marked on the frame of the bicycle they own, free of charge, as a form of identification. Our initiative today, is, on the other hand, to summarise for you the 3 golden rules to securely protect your bike in a better way. The first rule is to secure your bike using an anti-theft device (cable, chain or rigid shackle) to a fixed point. It may seem a trivial matter, but it sometimes happens that, in the absence of fixed points (such as a post, a bicycle rack or an eyelet fixed to a wall), together with the limited time available to search for one, one simply secures the wheel and frame: it is almost like switching on the electronic alarm at home and then leaving the door open. 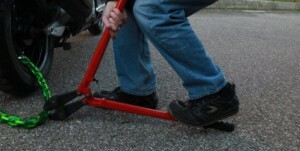 Stealing the bike by lifting and removing it by hand becomes childsplay, and the anti-theft device can then be removed calmly somewhere else. And always remember to choose anchor points that are truly secure: beware of short posts, from which a chain fixed only to the frame can be slid off, and also pay attention to those not fixed in a concrete base, but merely inserted in the ground (for example, some sign posts); these are often easy to pull out of the ground. The most practical and commonly used method for securing a bicycle is without doubt the twisted cable: it is light, cheap, but above all functional, thanks to its flexibility, for securing different parts of the bicycle to a fixed point. 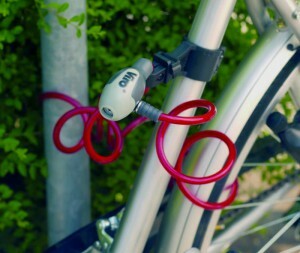 The flexibility of twisted cables such as the Viro Hawaii is used to secure the frame and wheels to a fixed point. However, you must pay attention to the actual resistance of the material to withstand cutting. It is always worthwhile selecting a product made of steel and with an adequate diameter (minimum 8 mm), to prevent it from being easily cut with shears or wire cutters. Also, the lock must be chosen with care, since a thief will not need shears to break a poor quality lock, as it would be sufficient just to pull hard on the two ends of the cable to force it, possibly with the help of a lever. Choosing a good quality anti-theft device, even if it cannot guarantee absolute security, is always a good idea: it discourages the less well-equipped thieves and, if used properly, it will not be necessary to purchase any others. Chains with padlocks are, for example, a good solution: even though they are bulkier and heavier than a twisted cable they provide better resistance to cutting and breaking. This third point is related to the previous one: in order to thwart thieves armed with shears or cutters it is worth making sure that the cable of the padlock is always raised above ground. If the cable or chain touches the ground, it is possible to rest the head and an arm of the shears on the ground, thus allowing all the weight and strength of the thief to be applied to the other arm of the tool. This takes advantage of the lever effect, enabling a significantly higher force to be applied than would be possible if the thief had to squeeze both arms of the tool with both hands. One last tip to further increase the security level of your bike parked on the street is to use, if possible, two different systems to secure it. For example: a U-lock and a padlock with chain, a cable and a chain, etc. The combination of different anti-theft devices means that the thief requires different skills and tools and overcoming both devices becomes more complicated, especially for impromptu thieves. 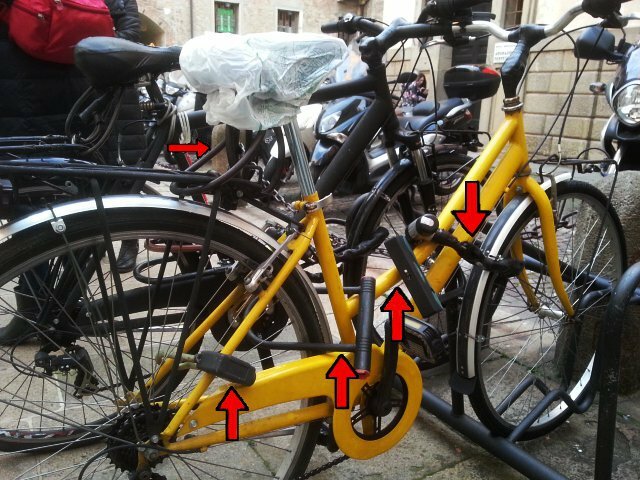 However, we believe that the time taken to remove too many padlocks, such as those shown in the photo taken in Padua, could even make one lose the will to travel by bike. Better just one, but of good quality and used properly! This entry was posted in Motorbikes and Bicycles and tagged products, technology, tips on 5 April 2016 by calessandrini.